Last Dec. 4, two high-voltage transmission power lines from Hydro-Québec TransÉnergie’s cluster of hydroelectric dams east of James Bay suddenly and inexplicably went offline, cutting off power to 188,000 customers in the Greater Montreal area. This month, Quebec authorities gave their explanation, announcing the arrest of Normand Dubé, 53, from Sainte-Anne-des-Plaines, Quebec. Dubé is accused of dropping objects from a small plane on the 735,000-volt lines northwest of Montreal, shorting them out and tripping protective devices. The attack, which has attracted little attention outside the province, recalls the 2013 armed assault on a Pacific Gas & Electric Co. substation outside San Jose, Calif. The attack on PG&E’s Metcalf substation dramatized the vulnerability of the nation’s 642,000-mile high-voltage power networks and led to mandatory federal requirements to strengthen physical security of essential interstate grid facilities (E&ENews PM, Nov 20, 2014). Quebec authorities say two high-voltage transmission lines were disabled by a pilot who dropped small objects onto the lines from his plane. Although some energy officials saw terrorists’ handiwork in the Metcalf incident, no one has claimed responsibility for the midnight shooting attack, and no arrests have been made. Likewise, there is no public explanation of motives for the Quebec outage. Dubé pleaded not guilty June 9 and is in custody while a bail hearing continues. Six others were arrested with Dubé on two dozen charges involving allegations of arson, conspiracy, death threats, harassment and vandalism extending back to 2009, according to Sûreté du Québec and other law enforcement agencies that conducted the investigation. 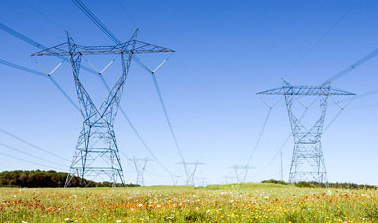 The Quebec incident highlights an increasing concern for grid operators. Quebec authorities allege that Dubé’s attack came from a small plane, since seized by Quebec police. The newer fear concerns drones, Harrell said. “Within the electricity sector, we have seen drones used for surveillance, and a few have even crashed into substations. While utilities are implementing lessons learned from the Metcalf attack, an overhead attack remains a clear real-world possibility, and one that could be equally as damaging,” he said. Last month, a remote-controlled aircraft flew into power lines in a Seattle neighborhood, and Seattle City Light line crews had to de-energize that part of the network to remove it, at a cost of between $30,000 and $35,000, according to press reports. France’s nuclear operator EDF said last October it had spotted seven drones flying over some of its reactors during the month. “These machines were not neutralised because they did not represent a direct threat” to the nuclear facilities, a spokesman added, according to a report inThe Guardian. The utility sector and its regulators face mind-bending decisions on how to apportion ratepayer dollars between trying to protect critical infrastructure from attack and building in adequate resiliency to keep the system operating if cyber or physical attackers get through or crippling natural disasters strike.”We are doing some really good things to prevent and mitigate threats, but ratepayers cannot afford the type of security needed to stop every threat,” said Vic Slade, security coordinator for Dominion Resources Inc., speaking in February to a conference of the National Association of Regulatory Utility Commissioners. “Your plan has to include resiliency” (EnergyWire, Feb. 26). The unpredictability of extreme weather and terrorists’ capabilities and timetables compounds the difficulty of security planning, Columbus, Ohio-based American Electric Power told the Federal Energy Regulatory Commission last year, as FERC was developing its physical security plan.”[T]he changes NERC and FERC are proposing could result in massive changes, bringing excessive additional costs with no guarantee of desired outcomes,” AEP said.”Even with increased physical security, there will always be some potential for an attack on a critical facility. Larger fences and armed guards will make attacks marginally more difficult. They will not make the facilities immune to attack,” the utility’s representative said (EnergyWire, May 29, 2014).